Having grown up on the land, Ben was introduced to horses and cattle from an early age. After completing a Commerce Degree at University of New England and spending a few years working in Accounting and Financial Planning and travelling he has returned back to the thoroughbred industry where his true passion lay. Ben has gained extensive experience both here in Australia and the UK working on several different operations throughout the United Kingdom where his last position before returning to Australia was Assistant Stud Groom of Juddmonte Farms European headquarters Banstead Manor stud for 3 years. Ben is involved in all aspects of the stud particularly mare reproduction, foaling, weaning and handling. Also growing up in Scone Kate has spent a lifetime with horses and cattle and spent many years horse riding. 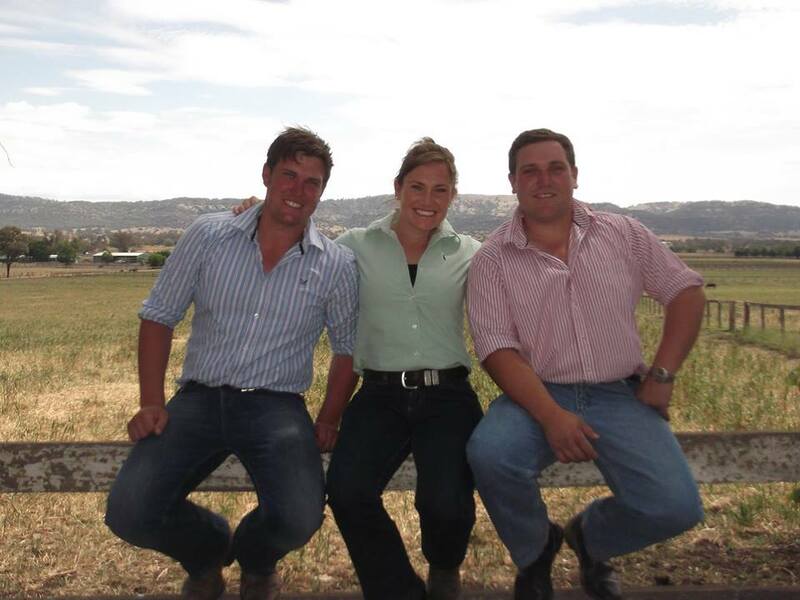 After completing a Business and Economics degree at University of New England Kate worked in Agribusiness banking before travelling extensively overseas. While overseas Kate gained further experience working on a mare reproduction Warm Blood Stud in Yorkshire. On returning back from travelling Kate now works in banking in Sydney and often returns home in her spare time and has a particular interest in foaling mares and yearling preparation. Heath has grown up at Chatsworth Park and has always been involved with horses and the farms from a young age. After school, Heath studied a Bachelor of Equine Management at Charles Sturt University in Orange. Heath was the recipient of the 2012 scholarship from the Hunter Thoroughbred Breeders Association to undertake the world-renowned Irish National Stud course where he won the award for continual assessment for his efforts. Heath is involved in all aspects of the farm from mare reproduction, yearling preparation, pastures, hay making and transporting mares for walk ons.